Peter Lavin is the Baseball Ross Phillies Minor League Comeback Position Player of the Year. He hit .287 in 128 games playing 54 games with Clearwater and 74 games in Reading. His 21 outfield assist are the highest is all of baseball. Both at the bat and in the field Lavin had an outstanding breakout 2014 season. 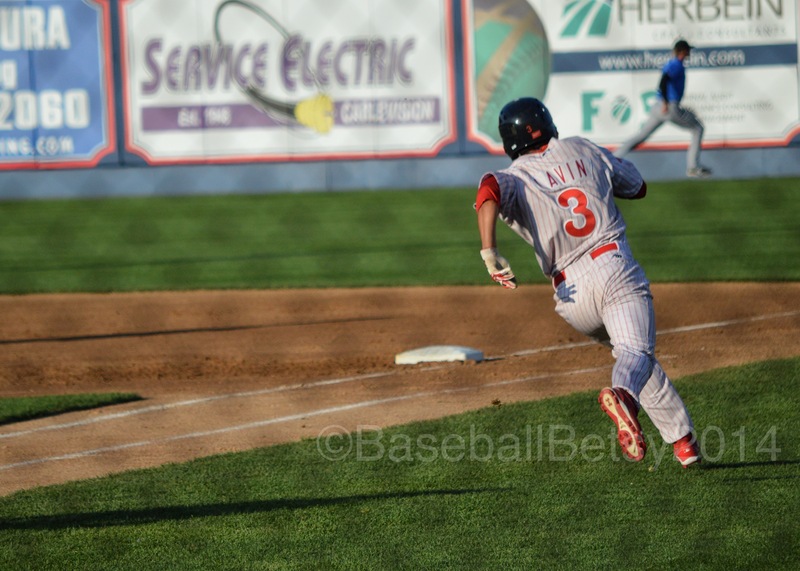 In 2013 Lavin played in only 58 games with the Threshers hitting only .224 with 6 outfield assists. In the 2012 season with the Threshers he hit .269 in 116 games and looked like he was on the way to a solid career as a minor league outfielder. 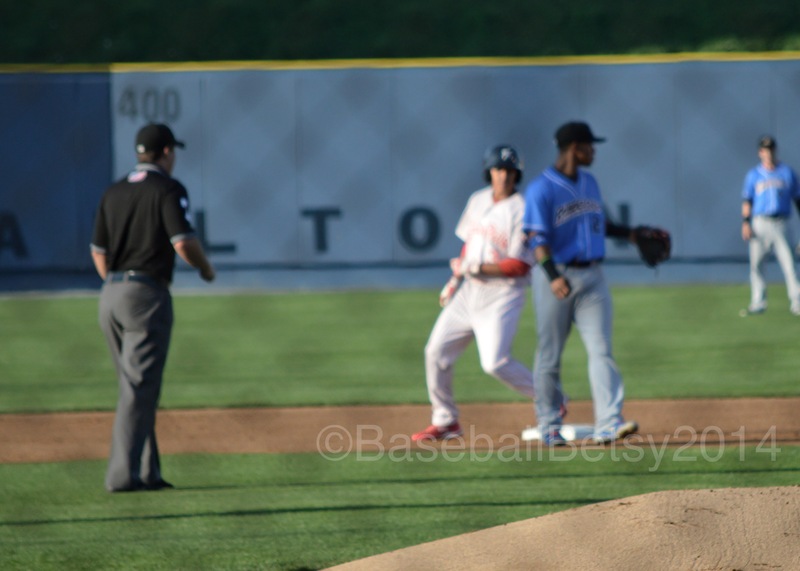 But in watching Lavin start this season with the Threshers he looked like a major league prospect. His defense was major league caliber. In a series against Dunedin we watched him throw strikes from center field to throw out runners at second, third and home. He was one of only three of the Phillies minor league outfielders to have the outfielders”triple double” this season. He hit 11 homer runs, stole 11 bases and threw out 21 runners between Clearwater and Reading. He finished strong in Reading hitting .345 from August 1st to September 1st. He had one of the highest averages during this time in the Eastern League. Though at Reading Lavin played mostly in right field and left field after playing brilliantly in center for the Threshers. 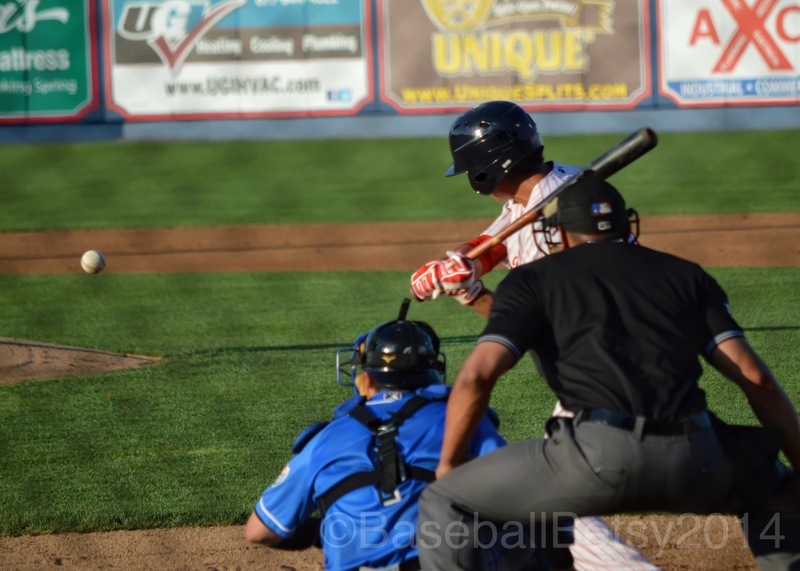 He overcame starting three seasons in Clearwater before finally getting a call up to Reading. To get playing time he had to switch outfield positions in Reading and continued to have one of the most outstanding 2014 season for an outfielder at any level in baseball. Lavin will play at baseball age 27 next year. It’s hard to believe he did not get an opportunity to play at even a higher level this season. He showed he can play all three outfield positions, hit for a high average and finish strong. Peter Lavin is my Phillies Minor League Comeback Player of the Year. Back in June just after Lavin was called up to Reading we saw him play on our trip around the Philles farm system tour when Baseball Betsy and I visited Reading for a game. In that game Betsy captures Pete hitting a double to right. 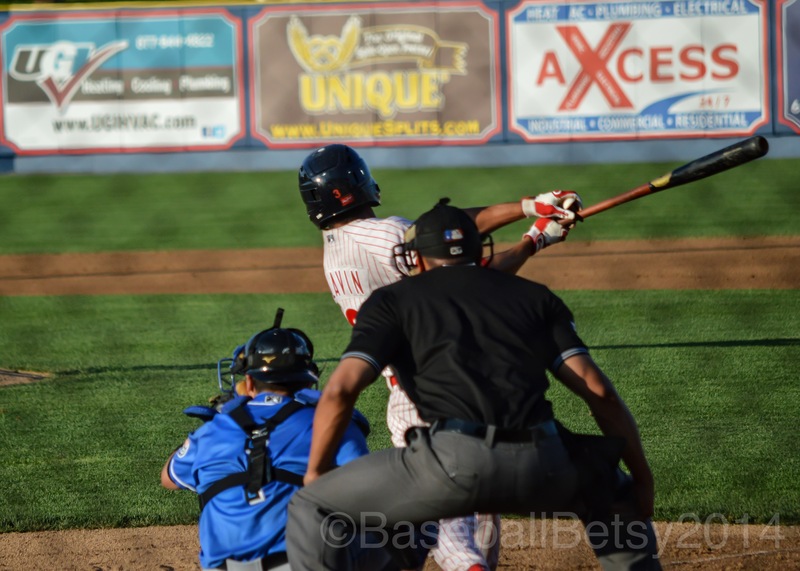 This entry was posted in September 2014 and tagged 2014 Phillies minor league season, Baseball Betsy, Baseball Ross 2014 Phillies Minor League Position Player of the Year, clearwater Threshers, Peter Lavin, Philadelphia Phillies, Reading Fightins. Bookmark the permalink. Pete Lavin’s at-bats in Clearwater usually made the game more interesting. His turns at the plate were charged with the possibiliy that he would delivery that clutch hit. His scrappy character was evident and even when he failed, he did not disappoint. I hope Pete gets a chance to play in the major leagues. He showed this season he belongs there. He is an awesome friend, played with him when he was playing in community college. great to see this.